Fipronil is an insecticide not permitted for use around animals destined for consumption, or in any products destined for the human food chain. The effects of consuming it? Sweating, nausea, vomiting, headache, stomach pain, dizziness, weakness, and seizures. It can cause abnormalities of the thyroid, liver and kidneys if consumed by humans. Since researchers found thyroid tumours in both male and female rats fed high doses, it has been classified as a “possible human carcinogen” by the United States Environmental Protection Agency. If eggs have Fipronil in them, obviously the meat of the chickens will. If a pest infestation at a farm is treated with Fipronil, the animals’ skin would absorb the insecticide. The Dutch food safety agency, the NVWA, officials are carrying out checks on chickens bred for meat. Is the use of fipronil in poultries new inspite of it being banned? No. 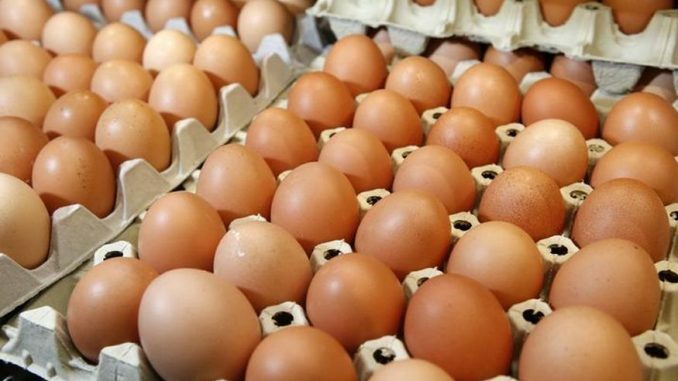 “I’m a professor in the Los Angeles area and want to do a study on Fipronil (Frontline) in eggs. Frontline is a common medication for cats/dogs for the control of fleas. Many people use Frontline to control fleas and mites in their chicken flock, but it turns out, there’s no data on whether the active ingredient (Fipronil) actually makes it into the eggs. …Although Frontline is effective in Chickens, there’s no data on whether it enters the blood and then the eggs… I’d like to study whether it gets into the eggs. Fipronil is one of the chemicals blamed for the disappearance of bees. A 2013 report by the European Food Safety Authority identified fipronil as “a high acute risk” to honeybees when used as a seed treatment for maize and on 16 July, 2013 the EU voted to ban its use on corn and sunflowers within the EU.